GeoTeric 2018.1.2 introduced the ability to create a wedge model in Validate to estimate thickness from the RGB blends. Frequency responds to changes in lithology, which can be modelled using the Validate Layer Model, but also to changes in thickness. By creating wedge models, interpreters are now able to model thickness changes in an interval and determine which colours represent different thicknesses. 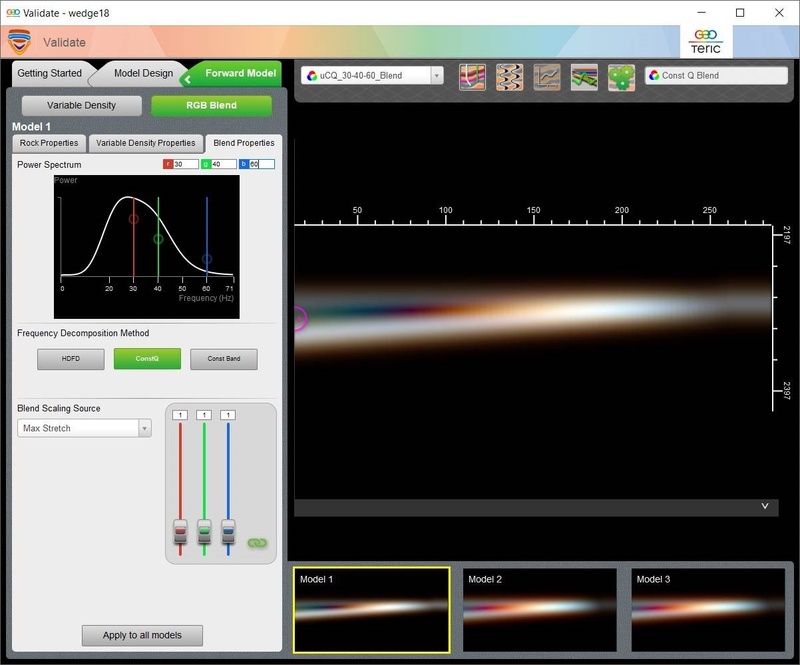 As part of GeoTeric’s Data Conditioning workflow, the Spectral Expression Tool is used to shape your spectrum to increase the frequency content in your data in order to improve the vertical resolution of your data. Polygons are some of the essential products of seismic interpretation. 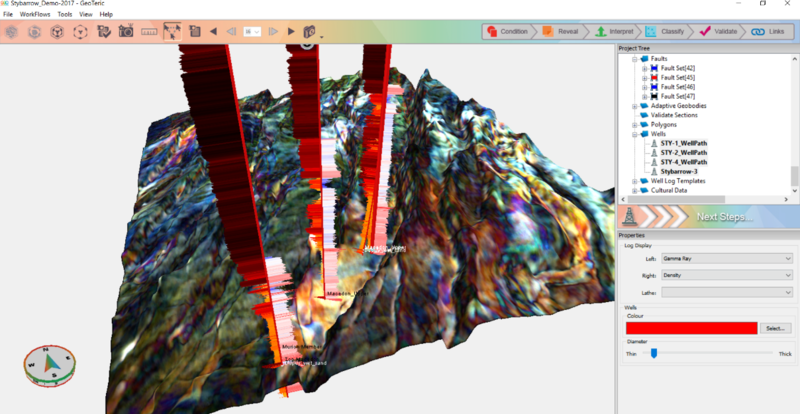 For the mapping of features and estimation of areal extents, GeoTeric provides polygon interpretation tools that allow these to be captured from the rich geological information revealed from the seismic data. 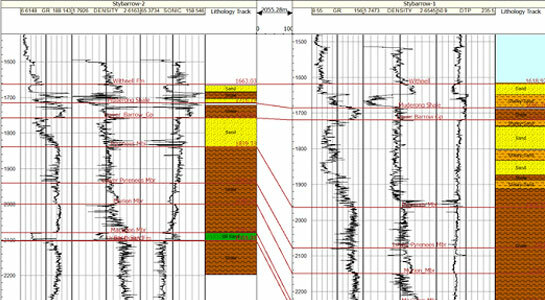 To gain a better understanding of the subsurface, start your Cognitive Interpretation workflow by correlating the well markers and lithologies between wells in GeoTeric. 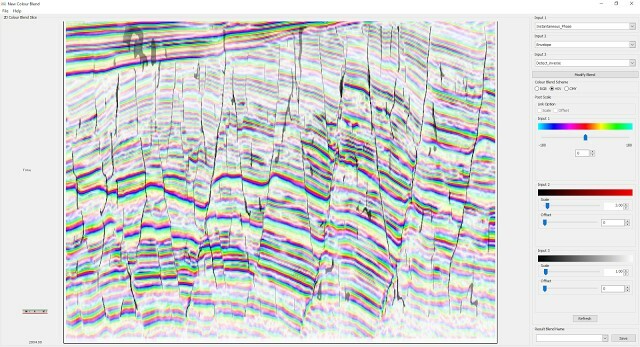 This will give you a better understanding of how the stratigraphy changes between wells before revealing the geology with Frequency Decomposition. 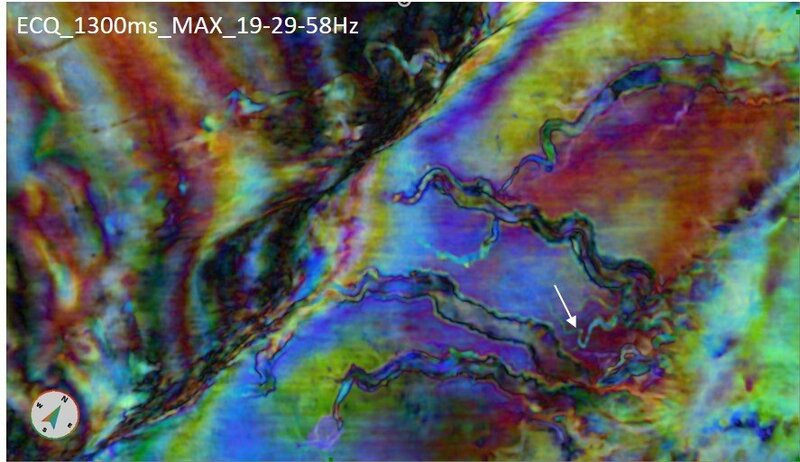 Why should you do your colour blending in GeoTeric? 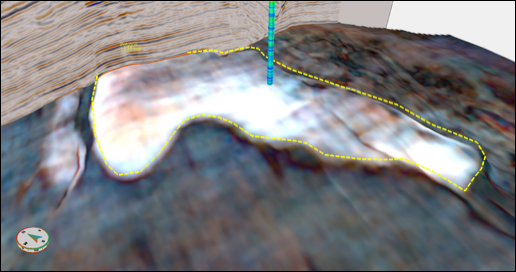 Colour blending is one of the most powerful visualisation tools currently available to geoscientists. Through this one simple process, the user is able to concurrently view the information from three different volumes, allowing them to interpret their data with more confidence. While there are other methods of interrogating multiple volumes, none offer the same level of data density at one time and although interpretation can be done by moving between multiple volumes, it is far more difficult to notice subtle variations. In Part 2 of this blog post, adding the amplitude of the Magnitude volume to Peak Frequency volumes helps with understanding the thickness and lithology variations within the data. In this 2-part post, a workflow is described on how to create and visualize Peak Frequency and Peak Frequency by Magnitude volumes. 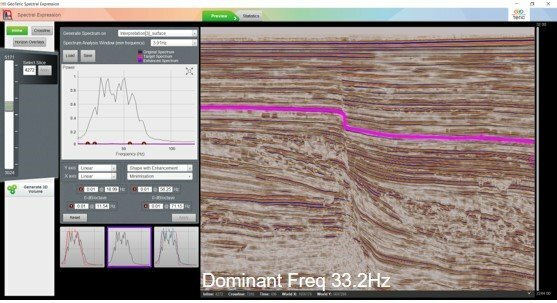 This workflow provides an enhanced visualization of spectral differences over different lithology and can be used as a seismic facies classification tool, based on dominant frequency. The Discrete Frequency volumes can be generated in the Frequency Decomposition tool using either Constant Q, Constant Bandwidth or the High Definition Frequency Decomposition within GeoTeric.